The fifth largest island in Korea is Namhae in Gyeongsangnam-do and can be reached by bridge. The sea of Namhae is part of the Hallyeohaesang National Park. 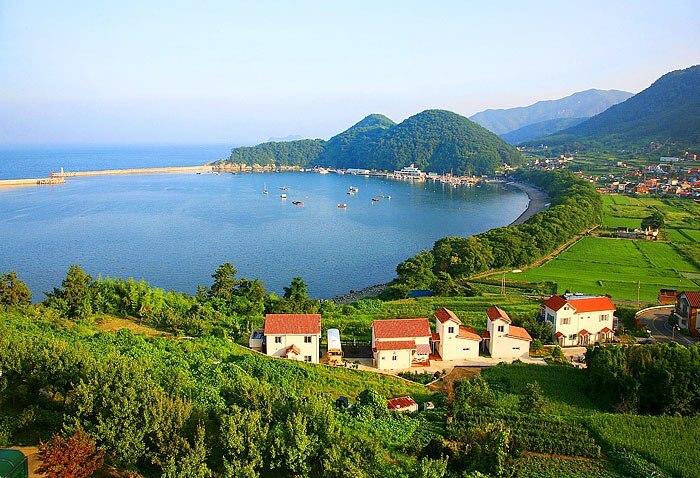 The rice paddies of Gacheon Village, the Namhae Geumsan Mountain overlooking the Hallyeohaesang National Park and Jukbangryeom in the Jijok Strait of Namhae are designated myeongseung (scenic places) by the Korean government. 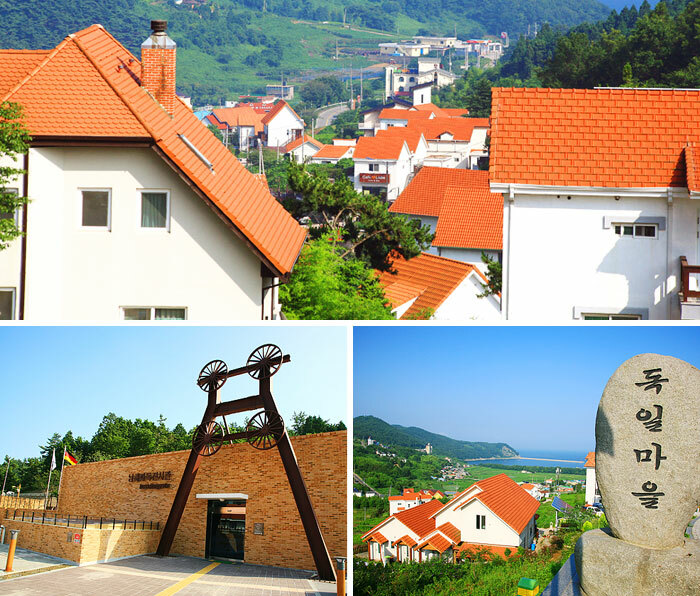 The German Village in Namhea was built to house Korean-Germans who lived in Germany. Miners and nurses were sent to Germany in the 1960s. They contributed to the Korea’s modernization and economic development. When they returned to Korea, they lived in the German Village. The village has 34 beautiful residential buildings with German names. The higher you go up the mountain, the better view is the Mulgeonhang Port and Mulgeon Windbreak Forest. Most of the buildings run as pension facilities. The German Culture Experience Centre opened recently and includes an exhibition hall, a German restaurant and gift shop. You will see Mulgeon Windbreak Forest when you look down from the German Village. The Mulgeon Windbreak Forest was formed to prevent the wind from blowing into the village as well as to catch fish. There are about 10,000 trees and you can still see the sea and lighthouse between the trees. Jukbangryeom is a traditional fishing method of Korea and utilises a bamboo trap set up in a v-shape. Fish get trapped due to the fast currents. Fish caught this way are alive and fresh and has a high commercial value. Among the catch are anchovies, hairtails, mackerel, pomfrets, and shrimp.